Color coded blue to visually differentiate use, often associated with finish application. Handle stay keeps mop upright and ready to use. Washboard surface effectively removes dirt and debris from mop pads before wringing. Twist valve empties contents without lifting. Smooth, non porous surface helps prevent bacterial growth and cleans up easily. 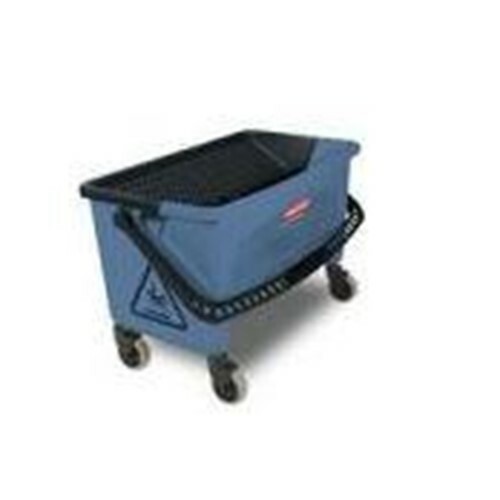 Buckets fit onto the 6173 Janitor Cart and accommodate mops up to 18 in length.